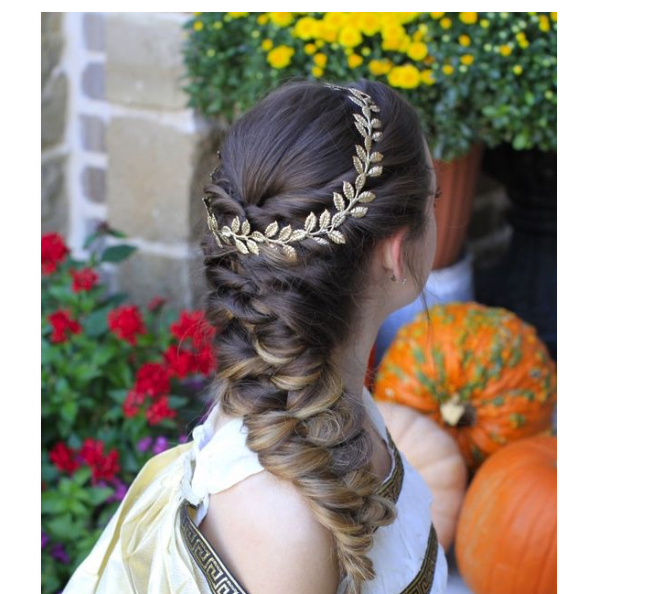 How to make a hairstyle in Greek style? At all times, a woman wants to look attractive. Help her in this outfit, sitting on the figure, jewelry,and hair. Beautifully cleaned hair in a bizarre form attracts admiring glances of passers – by and cause a desire to admire the female beauty. Properly selected hairstyle will help to create an image of a yoke, a business lady or even a seductress. Aristocratic style gives hair in the Greek style. This model emphasizes the curves of the neck, combining rigor and extravagance, lightness and femininity at the same time. For any events a Greek haircut? Going to an important celebration, the girl often breaks her head over what kind of styling to choose. After all, so you want to make the right choice, which will correspond to the type of event, to approach the clothes and emphasize the dignity of female nature. All this can be achieved if you look at this option. 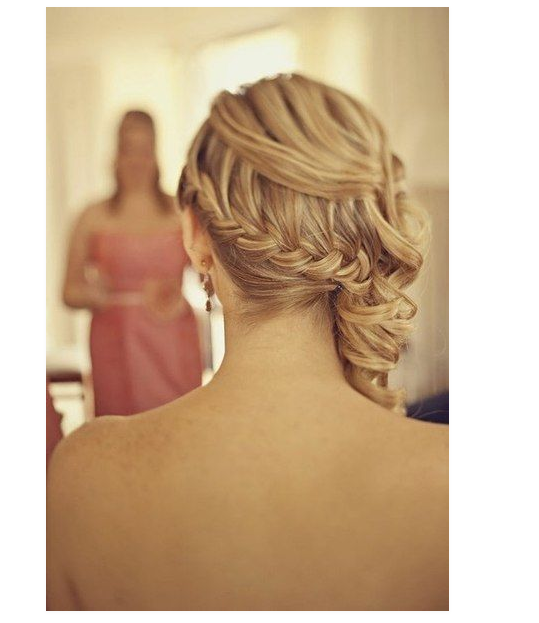 Gala ball-any significant event with dancing requires careful styling curls in a lush, airy performance. The Greek style will perfectly fit into your image, and easy negligence will give it Majesty and grace. Office? Why not! 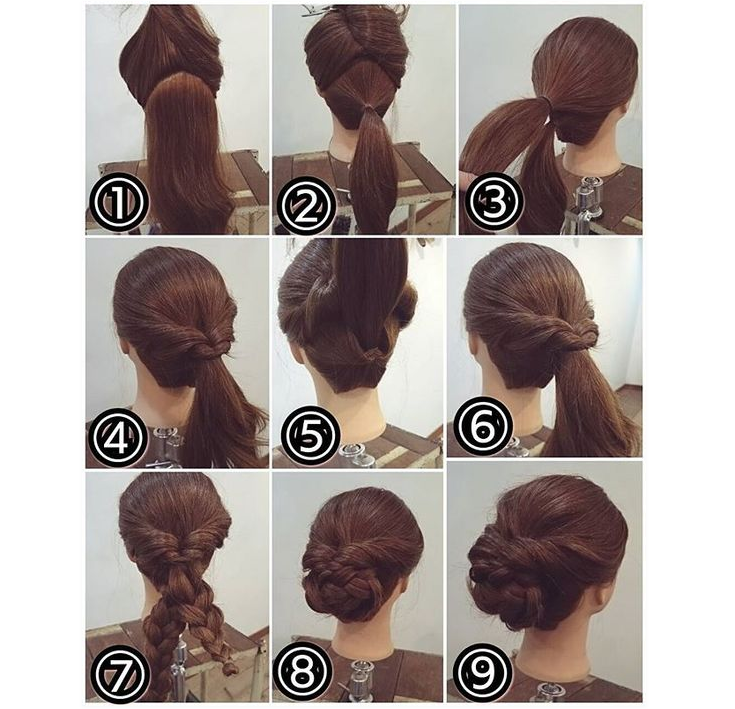 A little practice, you can do this option hairstyles pretty quickly, while it will be perfectly combined with a business dress or shirt. Only – for office Greek hair do not have to do too careless, on the contrary – more clear boundaries, less free strands. At the same time, this type of styling will look appropriate for a walk in the Park, on a romantic date or debut performance on stage. It all depends on the imagination in the process of implementation and the appropriate use of various accessories. The creation of everyday style is also under the power of everyone who decides to take this hairstyle as a basis. Alluring airiness will give lightness to your image and make it mysterious. 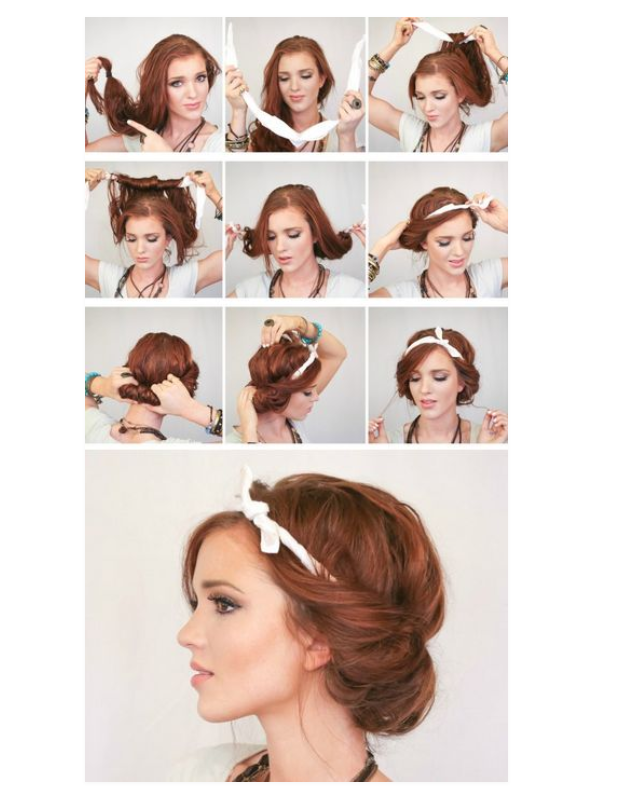 Greek hairstyle is good because it allows you to experiment, choosing the type of styling for a certain event. For what length hair suited the Greek hairstyle? Parted in the middle – an important caveat when creating hairstyles. Its presence allows you to accurately distribute the curls at the final stage. Suitable curly curls, flowing freely from the temples. Twisted curls are key. For the execution of hairstyles in the Greek style will suit any length of hair, but most often it is done on medium and long, slightly curly curls. The specificity is that it requires additional fleece to give even more volume to the curled hair, so it looks best on the curls just below the shoulders. If curls are naturally curly, it will be an additional plus. However, in the absence of such a structure, it is necessary to create an effect artificially, using large curlers, Curling iron or iron. Short hair length will make the image romantic and careless. Laying on medium curls will add modest innocence. And laying on long curls will help to create a truly exquisite image that can overshadow the imagination. Girl with bangs, can also create a unique image, if you use valuable advice. A variety of variations allows you to choose the right option for the features of the hair structure and emphasize the advantages. Each part that is directly involved in the process plays a role in creating the stacking. The standard set includes basic hairdressing tools. To give even more beauty, you can use accessories. For example, it is suitable to use tiaras, openwork bezel, or invisible. These accessories not only complement the romantic image, but also contribute to the long-term preservation of the hair in its original form. Using thin invisible, you can no longer worry about windy weather, because in this case the hair will remain luxurious for a long time. 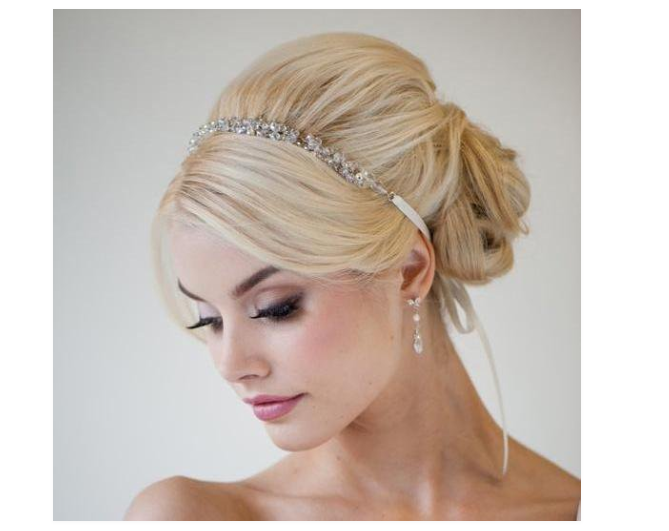 Tiara-complements the created image, emphasizing the thin mill and female silhouette. Pay attention to the color, size, design of all parts, choosing the perfect combination. Careful selection of parts will improve the appearance, making it more memorable. 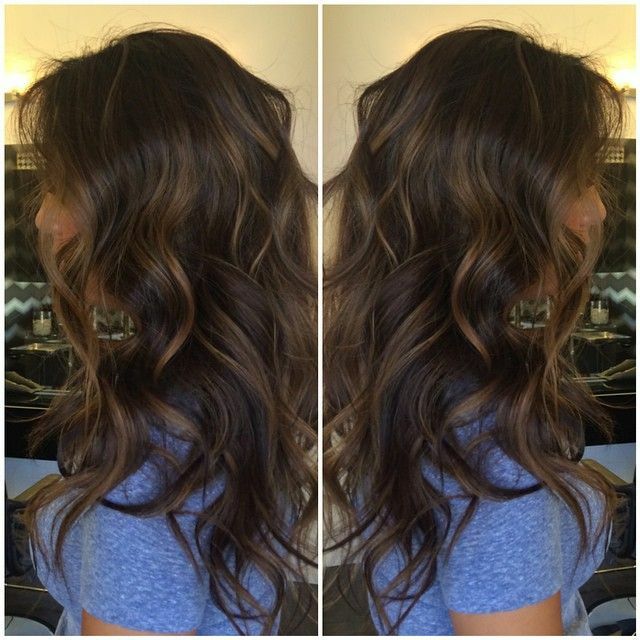 Styling with a rim will look best if you pick up a bandage a few shades darker than the curls. In addition, consider the width of the rim, based on the expected image – the wider the rim, the more emphasis will be placed on your hair. If the rim is narrow-hair will be just an addition to the whole image. 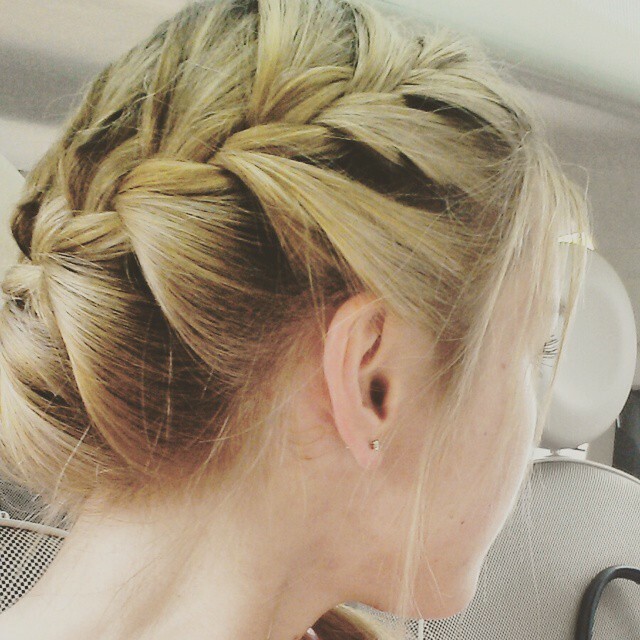 For Greek hairstyles, there are special nuances. This is not only curled from the temples curls, twisting harnesses, bundles and rollers. Welcome careless restrainest KOs, open the whisky, creating volume at the back. Often hairdressing requires creativity and free imagination. Thus, the creation process is often accompanied by various experiments with the color of parts, type of installation, adding appropriate accessories to the image. 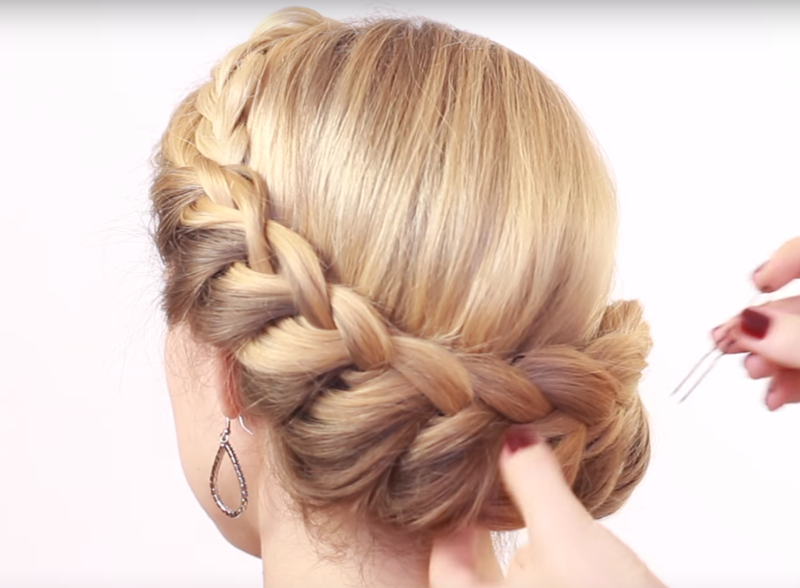 The type of this styling is suitable for a woman with any hair color. The length of the curls in this case also practically does not matter. Step 1. 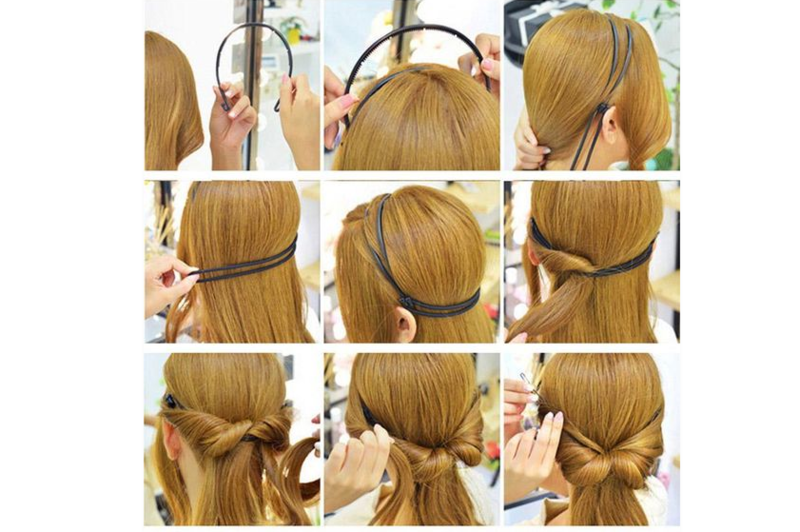 Collect the back of the top of the hair and secure them with hair clips. Bangs can be left unassembled. The lower part of the curls is fixed with an elastic band. Step 2. 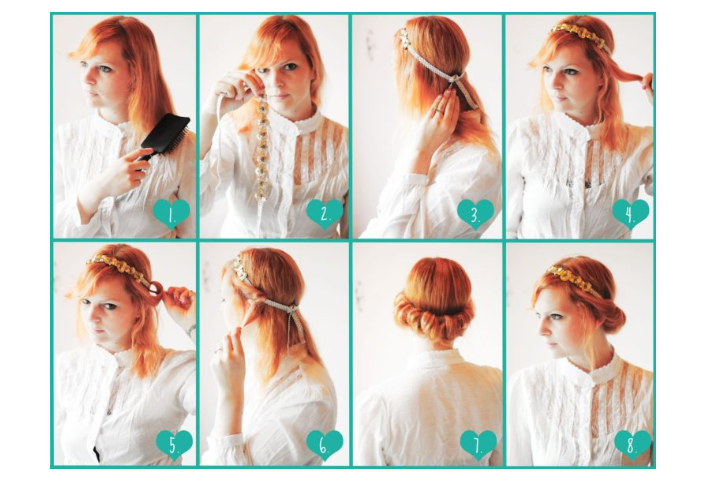 Use a chain or a long bandage to fix the top of the hair. At the end of the chain we pass the invisible and the resulting structure is fixed on the back of the head. The chain is wrapped around the head, tightly locking it. Then there is the second, the exact same turn. Step 3. The lower part of the hair is divided into two equal strands. From the resulting series of weave two braids, which turn around the head. The result is fixed invisible. Step 4. The remaining free part of the hair from the 1st step Curling Curling Curling or wrap on curlers. Step 5. Each individual strand wrap on your finger and secure the invisible. So gradually fit all the curls on his head. Until we’re fully engaged. This is a classic version. At the final stage it is possible to fix laying with a varnish. The resulting styling has a natural and simple negligence. Slightly loose strands of hair would only add to your already attractive image. 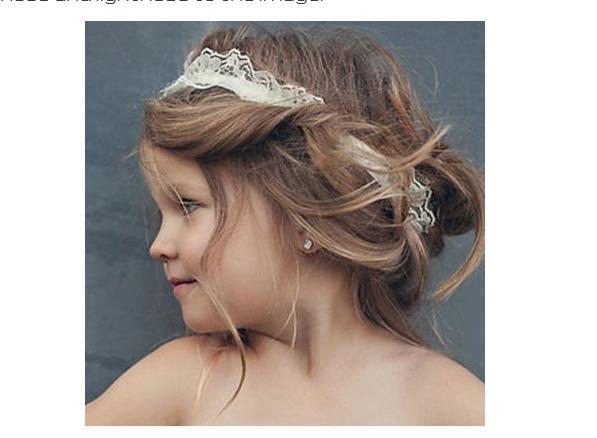 Is it possible to make a Greek hairstyle for girls? This type of installation is quite suitable for different ages. Young nymphets and nymphs can also boast of a beautiful hairstyle. To do this really on the curls of different lengths, it is only necessary to pre-twist the strands, if by nature they have girls do not curl. When you create a standard set of tools will be needed, as well as for an adult woman. Useful comb, Bobby pins, decorative pins, tiara, if necessary. 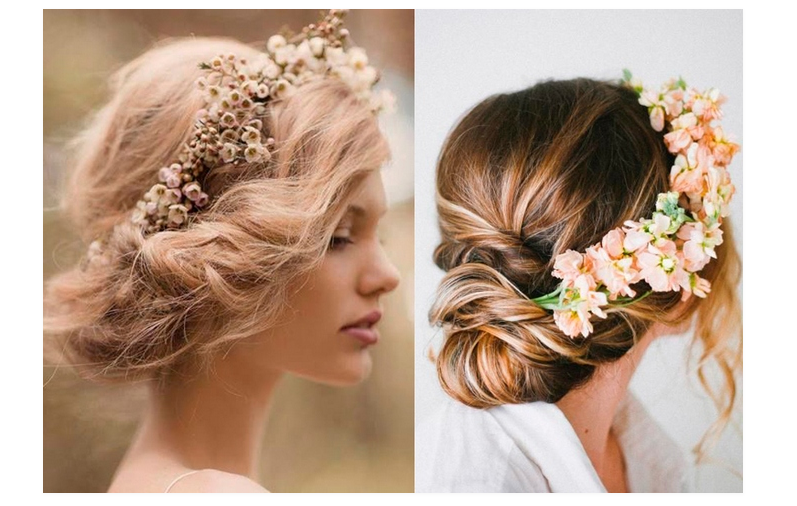 Using all this, without leaving home to create a beautiful hairstyle for the holiday or add variety to the outfit. Step 1. Comb the hair and separate the strand near the forehead of medium width. Separate one strand from his temple and pereplete together to form a harness. Step 2. To the resulting flagellum add a strand from below, twist it inside. 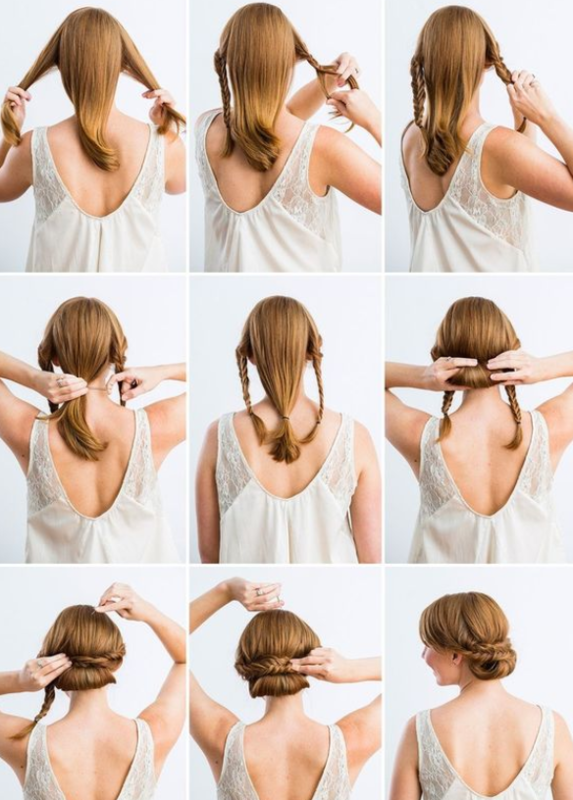 Get a twisted roll of hair. Step 3. We will add to the existing flagellum another strand from the bottom. Again, twist in the roller. Let’s fix the harness with studs. Step 4. Take the end of the harness and add to it a strand of hair from the bottom. Fill all the strands inside, fix the studs. Step 5. We intertwine exactly the same harness on the other side, repeating steps 1-4 step by step. Step 6. Hair going in the basket. 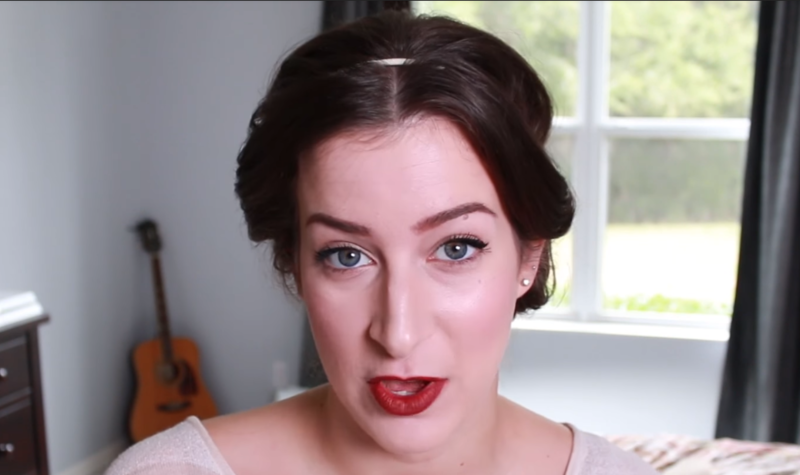 Stray strands of hair secured with Bobby pins, but a little negligence will make the hair comfortable. The result will please with the speed and simplicity in execution. 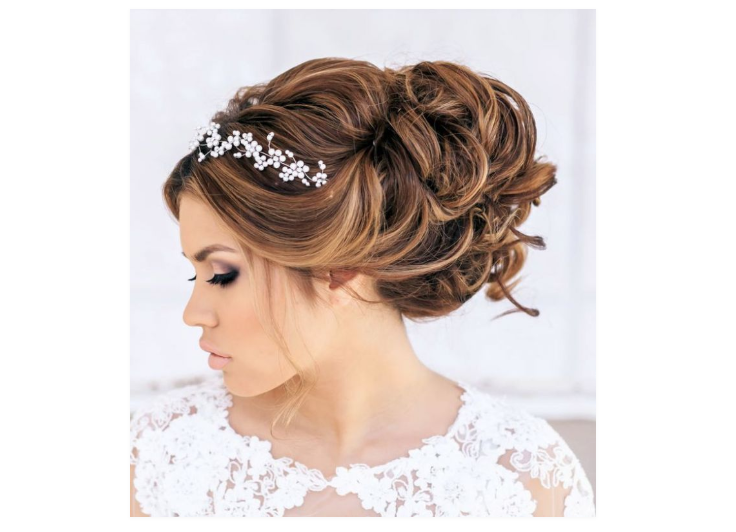 The resulting hairstyle can be decorated with beads, tiara, lace ribbons or rim. All these elements will add tenderness and lightness to the image. 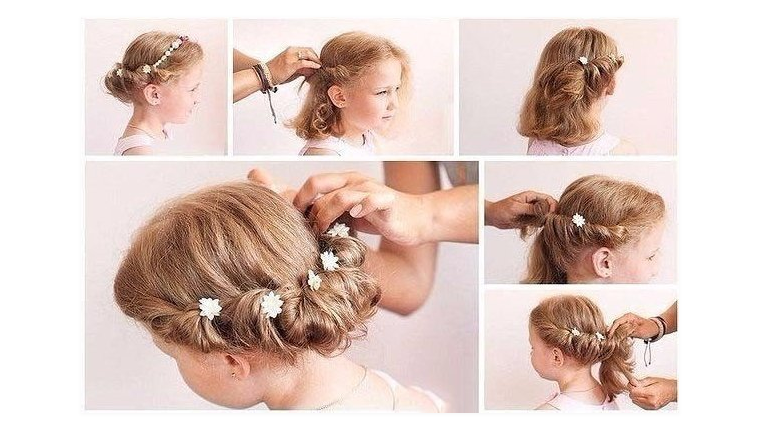 Hairstyle in the Greek style may be suitable for the prom, and for the matinee, children’s evening, family celebration or birthday.